We Have Professional Plumbers Standing By! Round Rock Plumbing is one of the leading plumbing services companies in Round Rock, Texas. With a sizable team, a vast fleet and cutting-edge equipment, Round Rock Plumbing is able to handle and resolve even the most stubborn plumbing jobs. From house jobs to commercial projects and from new plumbing work to repair and maintenance of already installed plumbing structures, Round Rock Plumbing has all-rounder team members with many decades of experience between them. Residential Plumbing: We offer a comprehensive range of services when it comes to residential plumbing in the Round Rock, Texas area. Whether it’s repair, installation, replacement or any other kind of plumbing job, we are available and on the call. Let us know your exact plumbing requirements and we’ll be there in no time to deal with it in an expedient and professional way. Following is a brief look at the residential plumbing services we offer. Plumbing Repair: Round Rock Plumbing has been among the leading Round Rock Plumbing Repair contractors for years. This is simply because we offer unwavering quality in all our plumbing jobs. Whether you have a problem with pipe leaks, damaged plumbing appliances, dysfunctional sewage pipes or any other sort of plumbing repair job, we’ve got you covered. Our licensed plumbers will detect the exact repair and deal with it directly. We are specialists in repairing and replacing residential grinder pumps system. See our grinder pump service. For years, Round Rock Plumbing has been delivering top-quality plumbing services to the residents of Round Rock, Texas. Our commitment to quality and excellence is reflected in hundreds of satisfied clients we’ve worked for over the years, including individual homeowners as well as commercial businesses. 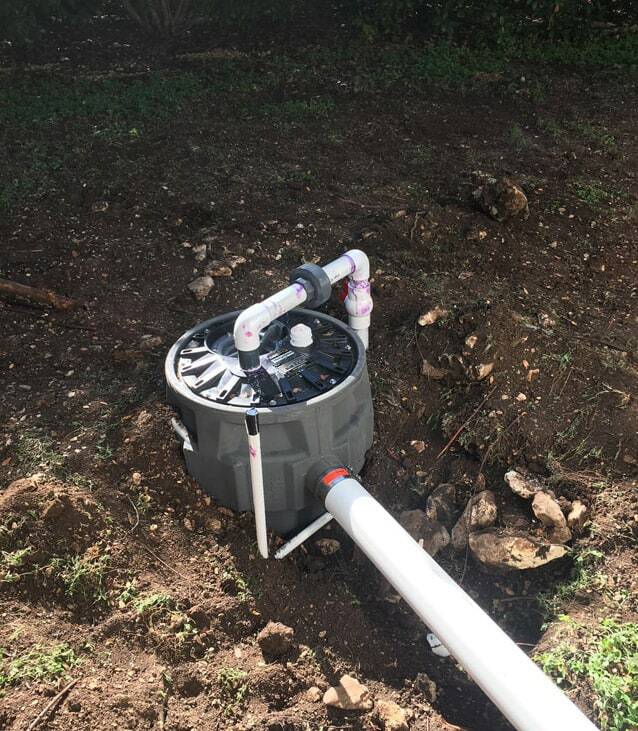 From repairing previously installed plumbing structure to installing entirely new plumbing equipment and from handling one-off jobs to taking care of an entire property’s plumbing, Round Rock Plumbing has a huge portfolio of completed projects and a long list of satisfied customers. A huge reason for our overwhelming success and popularity with Round Rock residents is our team. We have a team of highly trained, licensed, experience and courteous staff members who pride themselves in not just doing a job but doing it well. Add to it our sizable and mobile fleet of vehicles and the fact that we use high-quality equipment and machinery in all our plumbing jobs, and that’s the true secret to our success over the years. We also pride ourselves in our exceptional customer services. Whether you want an estimate for a plumbing job, advice on a new plumbing project or general information related to plumbing, our customer services representatives will promptly respond to your queries. They will also help you schedule an appointment and depending on the urgency of your job, contact one of our teams to reach your doorstep the very same day. When you hire Round Rock Plumbing to do a plumbing project, you can be sure that you’re hiring the best in the field. We offer a rock-solid guarantee on every project we complete and we also guarantee highly competitive rates, offering you the best services in every sense of the phrase. Reach out to us, schedule an appointment and try our white-glove plumbing services to see for yourself. We promise we’ll deliver better than your expectations. Pipe Replacement: Our company has been the pre-eminent Pipe Replacement Contractor in Round Rock for many years. If you want to take care of leaking pipes, have new plumbing pipes installed or replace the existing ones, we will do it for you. Our expert staff members will review your property and give you sound advice on how best to resolve a pipe replacement job. Gas Line Repair: A damaged gas line is the sort of plumbing job that simply can’t wait. Not only does it hamper you from using your gas-powered appliances, it also poses a significant danger to you and your property. Our highly experienced Round Rock gas line repair contractors have a fool-proof experience of dealing with such repairs. They will inspect the damage or leak, come up with a rock-solid solution and implement it in a timely way, ensuring your comfort and safety. Plumbing Remodel: If you are looking to update your existing plumbing system to make it more efficient, or to customize it so that it suits you and your family’s needs better, you can absolutely rely on us. 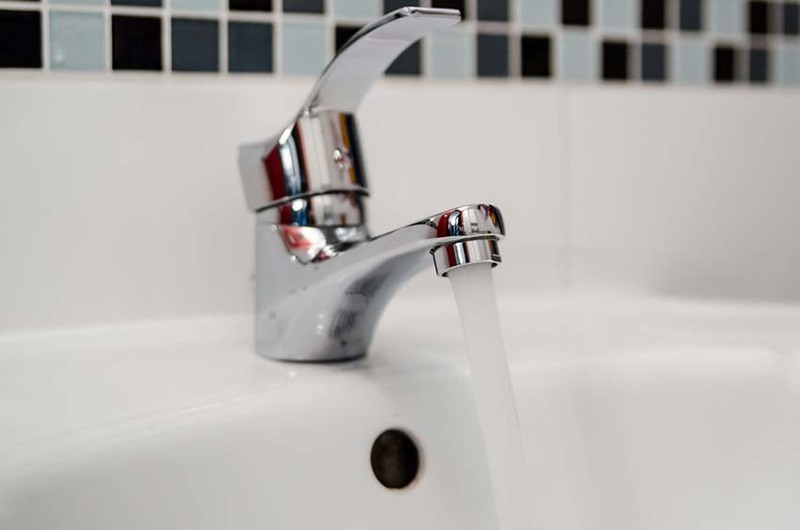 Being the leading plumbing remodeling contractor in Round Rock, our expert team will work closely with you to curate a plumbing system that is tailor-made to your needs and preferences. Electronic Leak Detection: If your plumbing system has a leak, it is imperative that you find and have it fixed as soon as possible. This is because a plumbing leak may damage your property through water seepage while also deteriorating the quality of the water. We offer comprehensive Round Rock electronic leak detection services, making use of cutting-edge electronic solutions to find the exact spot of a leak. 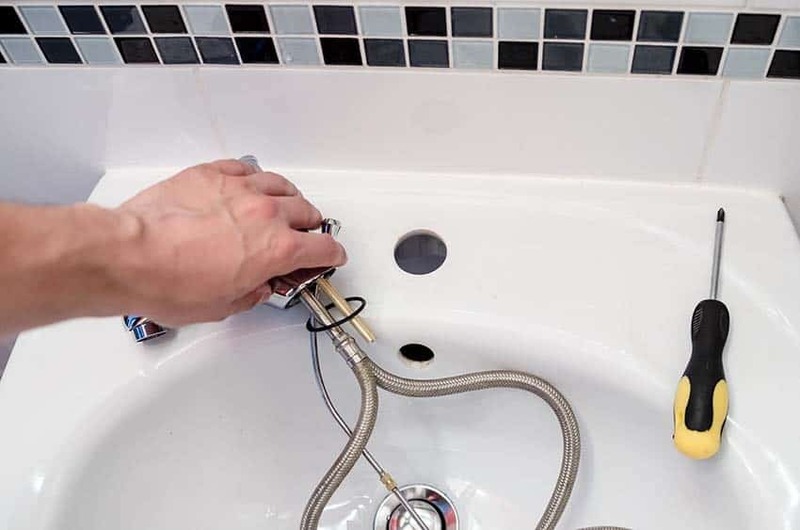 The best thing about electronic leak detection services used by our Round Rock plumber is that they required little to no disruption to your property. Water Heaters: A steady supply of hot water is essential for you and your family. We make it happen by dealing with the repair, maintenance, installation as well as replacement of water heaters. Being among the leading water heater contractor in Round Rock, our company has a record of offering innovative, cost-effective and efficient water hearts to Round Rock residents. Our Round Rock plumbers work closely with you to find a water heater that best fits your needs as well as to resolve any problems with an existing water heater. Tankless Water Heaters: Round Rock Plumbing offers Round Rock tankless water heater installation and repair services. Tankless water heaters offer a huge range of benefits, as compared to a traditional water heater. Our expert plumbers will also assist you in finding the best tankless water heater that suits your needs and the install them on your property virtually in no time. Commercial Plumbing: Round Rock Plumbing also offer comprehensive commercial plumbing solutions to businesses located in the Round Rock, Texas area. These include commercial contracts, plumbing at new construction sites and emergency plumbing services for commercial properties. Our commercial contracts offer businesses the guarantee that all their plumbing needs will be taken care of by experienced and licensed plumbers in a timely manner. When working on a new construction site, our plumbers come up with customized, innovative and highly efficient plumbing solutions to deal with all the plumbing requirements of a property. Our Round Rock plumbers also offer emergency plumbing services for any urgent plumbing jobs at commercial properties. 24/7 Services: Whether it’s the middle of the night, early dawn, noon or anytime in the evening, our team of plumbing experts is available all day. You can absolutely rely on us. Just reach out to us with a service request and our team will be at your doorstep in no time. Emergency Services: There are plumbing jobs that can wait a while and then there are plumbing jobs that absolutely can’t wait. We’ve got you covered on this front as well. Contact us directly for emergency plumbing jobs and we will dispatch a team to your address right away. With our sizable fleet on the move, chances are you will be able to reach one of our teams already present in your neighborhood. Competitive Rates: Even though we use the best equipment and cutting-edge machines in getting the plumbing jobs done, you can rest assured that we offer incredibly competitive rates. In fact, we guarantee that the quality of services we provide at the rate we offer is absolutely unmatched in Round Rock, Texas. Upfront Pricing Estimates: When you ask us to do a plumbing job, our team comes over to your place and does a price estimate before doing the job. This way, you knew beforehand what you will be paying for the job. No surprise, no hidden charges, and absolutely no money woes for our clients. Uniformed staff: All our plumbing staff wears uniform bearing Round Rock Plumbing branding. Dresses meticulously and professionally, our staff offers white-glove plumbing services and is very courteous towards the clients. Highly experienced team: Our team members have worked on a huge number of commercial and residential plumbing projects, sharing many decades of experience with them. So there is no job that is impossible for them and no work too tough. They will handle even the most impossible plumbing job and get it done well. Still facing plumbing problems on Oahu? Call our plumbing specialists today - your satisfaction is guaranteed!